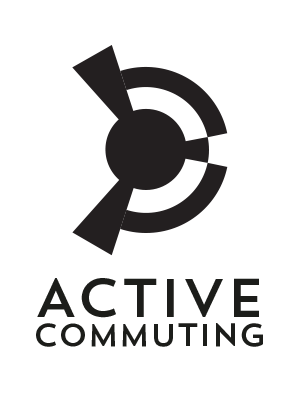 The Active Commuting pods are bespoke, architect designed, and built to the specifications of our brand and design tool box. They are manufactured in the United Kingdom ensuring consistent quality and aesthetics throughout the range. The interior decor is fresh, vibrant, contemporary, and incorporates the use of natural light. As standard we offer three sizes of pod; small, medium and large. For custom orders we can manufacture in any size from 6-12 metres in length and 3 metres in width. Custom units can have both core and non-core pods integrated. Core pods: secure bike parking, changing rooms with showers and lockers. Non-core pods: drying room, stretching room, bike workshop. ■ depending on site/permissions; pods can be used to display out of home advertising (OOH). Are you an employer? Studies show that employees who cycle or run to work suffer less absenteeism than those who do not. The active commuters arrive fresh, relaxed and motivated. Nationwide surveys tell us the biggest barrier to employees running or cycling to work is a lack of facilities at their workplace. The surveys found the most important facilities they needed were; secure bike parking, showers and lockers. If you would like a more energised, efficient and happier workforce, our bespoke architect designed facilities will help make that happen. We provide showers, lockers and secure bike parking facilities. Our approach is unique, scalable, adaptable, and completely portable. So if you move, our pods can move with you! In the space of a five car parking spaces using a 120MF stacked above a 120B pod; this facility would have 56 secure bike spaces, and can have over 80 lockers within the separate male and female shower and changing rooms. All our facilities can come with access control and electronic lockers.